Which Skirting Would Best Suit Your Home? Deciding on the skirting boards you want around your home doesn't have to be difficult. We offer samples of all of our profiles you can see online! Make sure that your making the right choice by ordering some samples to see how they sit in your home or match up to older skirting boards. You can have up to 5 samples per address meaning you don't have to narrow your choices down too much! The samples start from £2.50 and all come with free delivery! UPDATE: all of our samples are now completely free! What Size Are Your Samples? 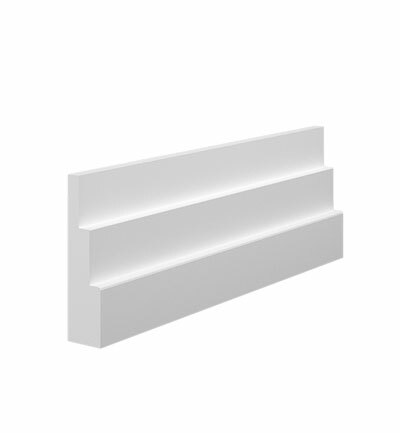 We offer samples of every skirting board and architrave design that we manufacture. If you order a skirting board sample, you'll see that all of the heights are set at 120mm. Because we offer free samples, only offering this height makes it more cost effective or us as a company. All of our designs fit on to a 120mm board so this is an ideal size. We can also get 5 of this size board into our professional sample packaging. Our architrave samples are available in 70mm, 95mm and 120mm. However, if the design you are looking at will only fit on a 120mm board, you won't be able to select a smaller size.